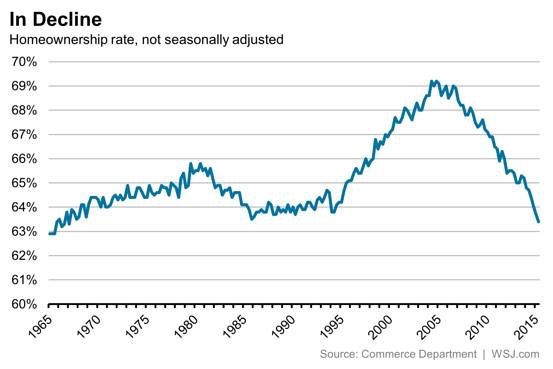 The homeownership rate continued to decline in the second quarter of 2015, hitting a 48-year low. The country is experiencing its lowest homeownership rate since 1967. According to the Commerce Department, the seasonally adjusted homeownership rate declined to 63.5 percent, down from 64.7 percent in the second quarter of 2014. However, it should be noted that the decline in homeownership reflects a positive trend: The number of rental households is growing.